I have my friend, Keith Thompson, to thank for this weekend’s pick. It’s the lovely, Leon Bridges, with Lisa Sawyer, a song about his mother’s religious conversion. Bridges, 26, who hails from Fort Worth, Texas, is a soul singer who brings us back in time to the 1960’s. 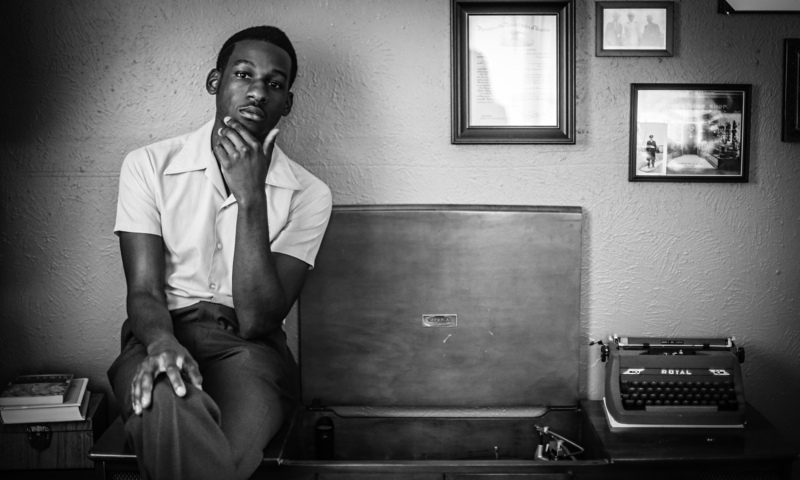 Reminding one of singers like Otis Redding and Sam Cooke, he even dresses like he stepped out of that time period, but Leon Bridges definitely has a voice of his own that is current, dreamy, and oh so true. Not much more to say, except welcome to dreamland. That was beautiful and smooth. Thanks for sharing. I couldn’t stop listening. Otis Reading was a perfect match too. I love your blog. Thanks so much for checking out the post and listening. I can’t stop listening to the song either. Thanks for your kind words, too–I appreciate your support! Hello, there, Wendy Jane my so, so very For Always so, so very dearly special and dearly precious sister and friend who you are For Always so, so very much!!!!!! Wow, I have been getting such good rest and being such a good patient(SMILE!!!!!!!). I thought that I’d take some quick moments from resting and be on the computer for a little bit because I thought it would help to cheer me up from my being so, so very sick blues, sister(SMILE!!!!!!!). I’m ever so slowly getting better inch by inch but I’m so glad the resting is helping a lot, Wendy Jane! Wow, sister, I just so, so very much love and like this astounding singer Leon Bridges! He is like you say so sweetly lovely and beautious, sister!!!!!!! I love how his beautiful song sounds like it is from that era from the 1960s, and I love how he dresses like he was from that era also, sisterfriend! I love how you remember that era so well, too, and the smooth and cool music and what people wore back then, my so, so very dearest friend!!!!!!! We both remember so very well, sister!!!!!! I have listened to his marvelous singing song more than once also, sister!!!!!!! Wendy Jane, this is just great here and his singing is very serene and peaceful, sister!!!!!!!! Thank-you so, so much for featuring this so cool song by him and for your absolutely amazing blog post article here, Wendy Jane!!!!!!! Wow sister wow Wendy Jane!!!!!! Wow!!!!!!!! Sister, please have a totally terrific and a very thrilling Thursday, and wondrously wonderful rest of your week and weekend ahead, and may all of your days be so, so very especially blessed, Wendy Jane!!!!! This beautiful music and singing has helped me to feel more upbeat for sure, my sweet white sisterfriend Wendy Jane!!!!!!! Thank-you so, so much sister!!!!!! !